I took Thomas out to the back field this morning. 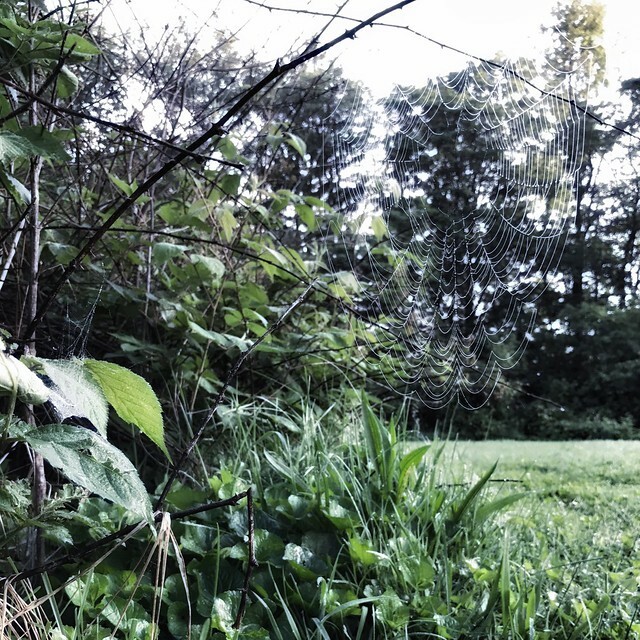 There were hundreds of tiny spider webs in the grass, covered in dew. And then I saw this one, by the raspberry thicket, sparkling in the sunlight.